For my 38th Birthday my husband surprised me booking us a quick trial cruise leaving on my Birthday September 22 and ending on Sunday September 24. 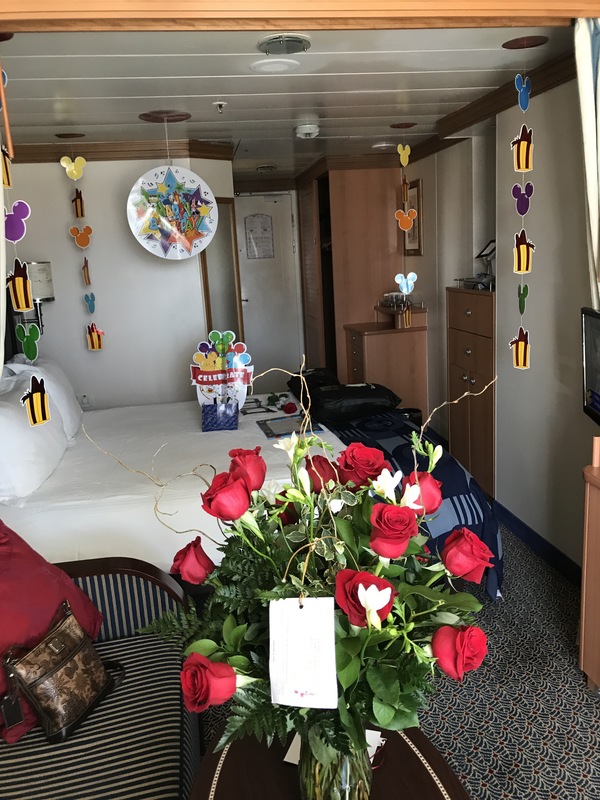 We’d talked about doing a Disney cruise for along time becuase I love Disney and would love to take our kids on a Disney cruise. On this trip it was just us we arrived in San Diego and boarded the ship at 1pm. We were able to get some lunch at Cabanas which already exceeded my expectations for buffet dining. 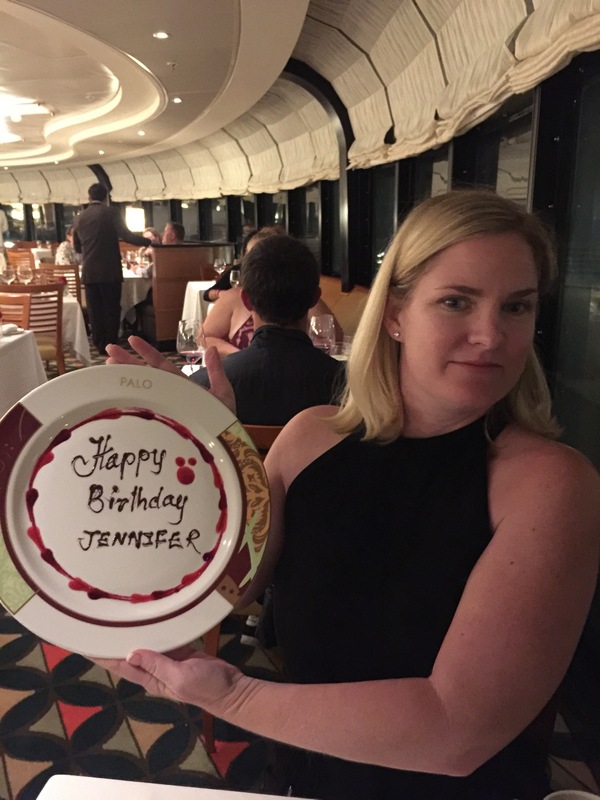 On Princess and Carnival cruises we’d been on in past the food let us down. 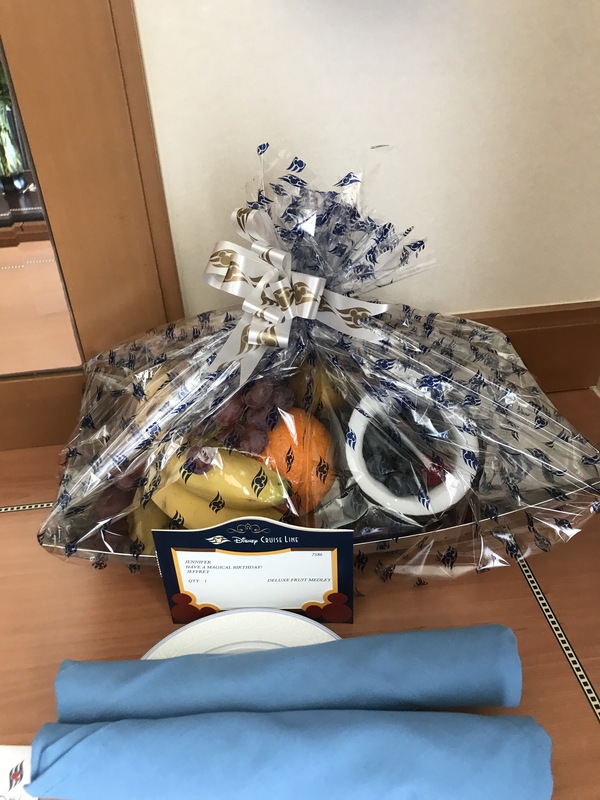 On this quick weekend cruise the buffet had not just junk food but all kinds of sea food, prime rib, vegetables and pastas also salads and of course still items kids would enjoy like chicken fingers. I was under the weather that day and was able to get green tea with honey everywhere we went. 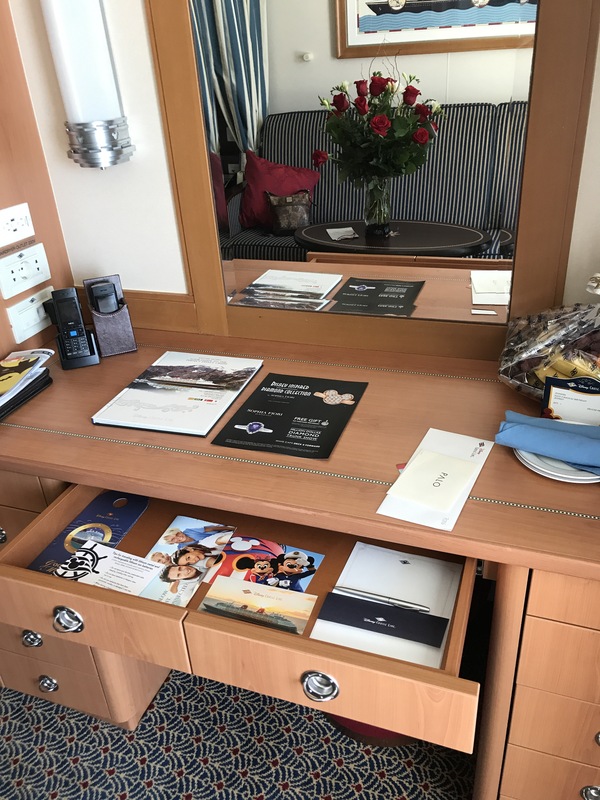 The staff was incredible the ship beautiful and always clean. The elevators were much smaller than I was used to. 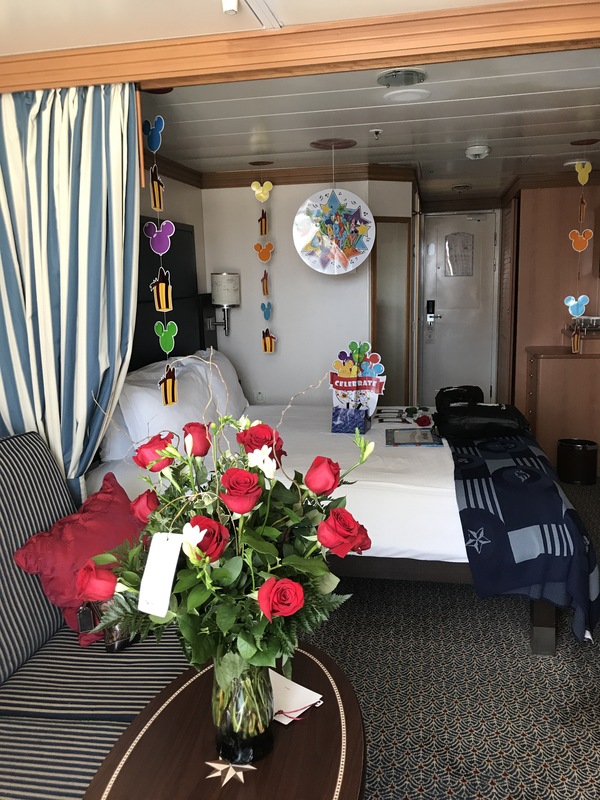 My husband had our cabin decorated for my Birthday and roses for me as well champagne and chocolates and fruit basket. We had a lot to do on the ship it was deciding what to do in our limited time onboard. 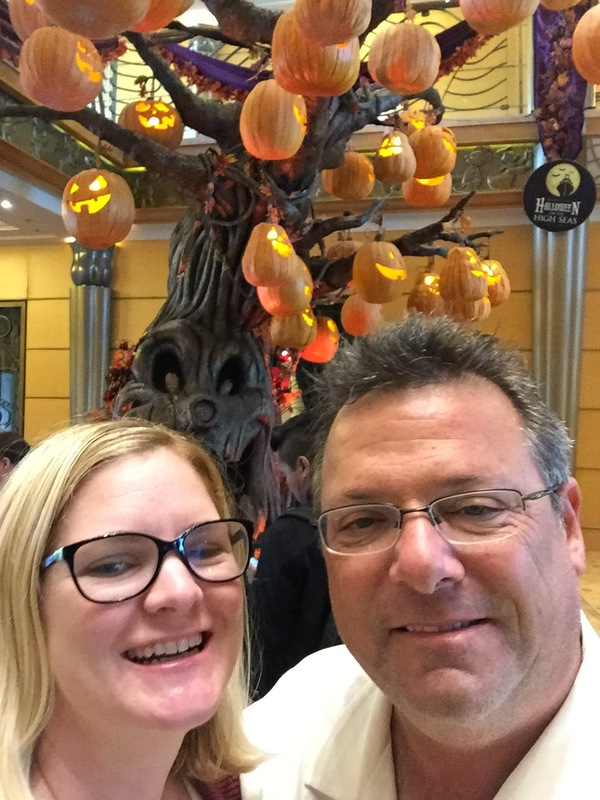 We had dinner reservations at Palo so we went to the early show to see Disney Dream it was excellent a must see if you are given the opportunity. After the show we went back to our room dressed for dinner. We absolutely loved the atmosphere the wait staff and the food was phenomenal. They started us off with a huge anti pasto spread of procuitto, beef, roasted peppers, artichokes, Parmesan cheese and more. They also had three delicious breads for us to munch on. I had an arugula salad which was divine and a scrumptious mushroom risotto for my main course. My husband ordered the arugula salad too and had a very delicious Lobster Pappardelle. We each had a soufflé for dessert I had a chocolate one and my husband an amaretto one. 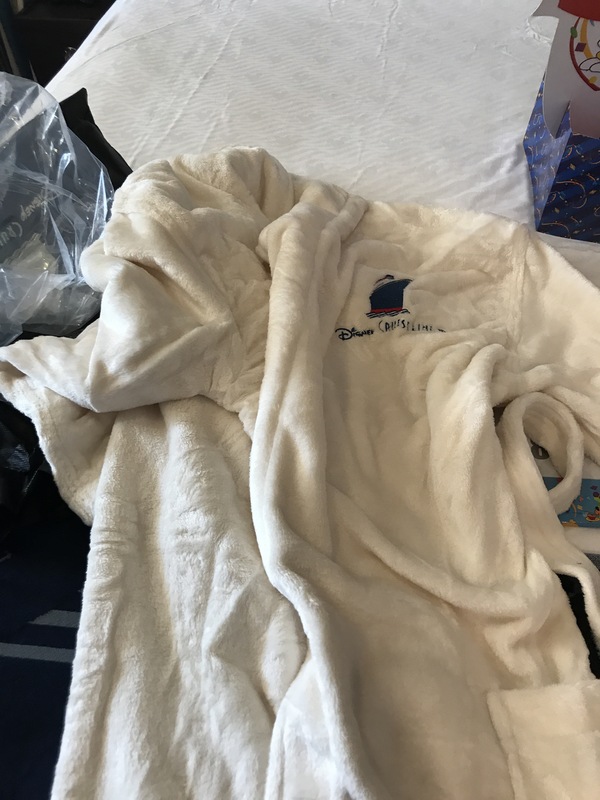 We were planning on going to the Pirate Deck Party and the Disney Costume contest but instead put on our plush robes sat on our balcony enjoyed firework show and enjoyed a night in. Day two I was exhausted wasn’t able to sleep night before so finally slept from 7 am to 9am then had some breakfast and hot tea. My husband went to a morning movie while I was resting. Then we went to our spa appointment my husband booked us a couples package called the ultimate indulgence. We started with 30 minutes in a private hot tub overlooking the ocean and then a customized massage for each of us he got a bamboo massage I got a hot stone massage then we both got a relaxing facial. Then we got twenty more minutes of time relaxing outside with ocean view hot tea and delicious fruit for us to snack on. After that we decided to get some pizza for lunch and then walk around he ship and plan our evening. I also boooked a wax treatment for 5pm so we’d need to go back to spa then. After my treatment we went to the shops and then to get a coffee and went to watch Cars 3 we got some popcorn of course too. That was a very cute movie. Afterwards we went to our room to clean up and we then headed to Frozen theater production which was fantastic. 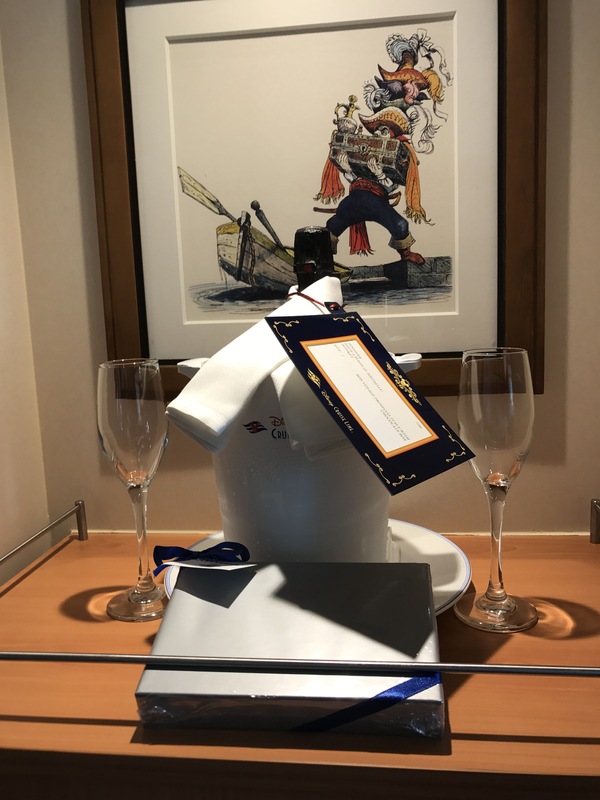 After that we shopped again purchased our pictures and then realized we should have had dinner earlier and had only pizza as an option but we had a fabulous time and we now know so much more for our next cruise. We got a good nights sleep and then got off the ship with ease Sunday morning go at back to our car and on the road. 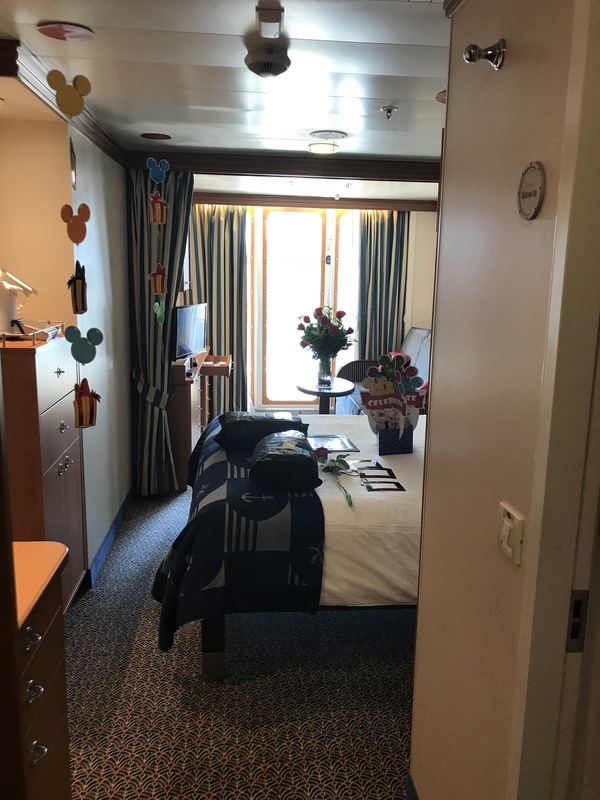 I would highly recommend Disney Cruise to anyone I did have fun on the 3 day two nights but I prefer 7-10 Day for cruise length. But great trip I feel you only have a weekend .